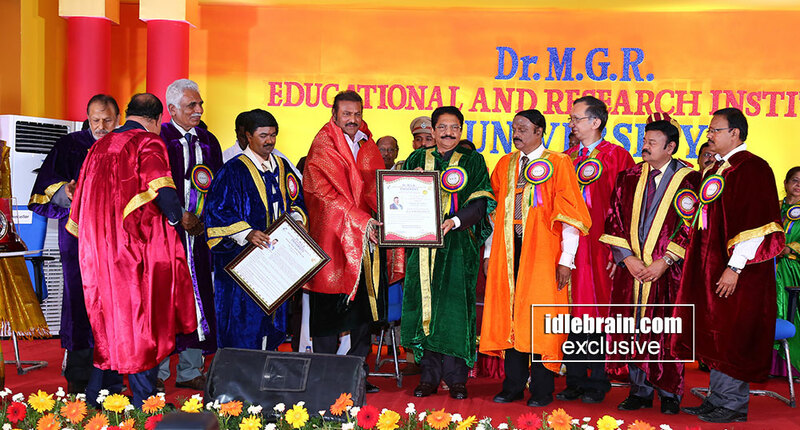 Dr. M Mohan Babu has been conferred honorary doctorate by MGR University today morning in Chennai. Hon’ble governor of Maharashtra & Tamil Nadu Ch. Vidyasagar Rao presented the doctorate to him. Renowned scientist and Technical Director of Nuclear Power Corporation of India Ltd. S Singha Roy also has been conferred honorary doctorate by MGR University along with Mohan Babu. 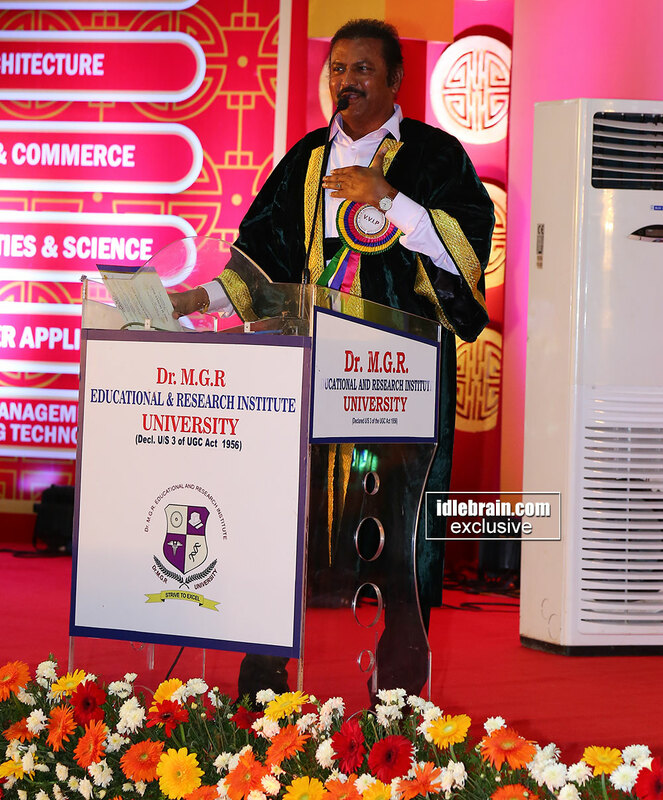 Mohan Babu has been honored with doctorate by the prestigious university for his contribution to the fields of education and cinema. It’s a proud moment for Telugu film industry. Mohan Babu acted in more than 500+ films over a span of 40 years. He is known for his versatile roles and unique dialogue delivery. He also produced several super hit films under his banner, Sree Lakshmi Prasanna Pictures. Mohan Babu established Sree Vidyanikethan Trust and has been providing 25% free education to meritorious students of poor economically backward for over two decades.